Barn has been a woodwork obsessive for over 20 years. 8 years ago he decided spoons were his thing and dedicated his life to them. 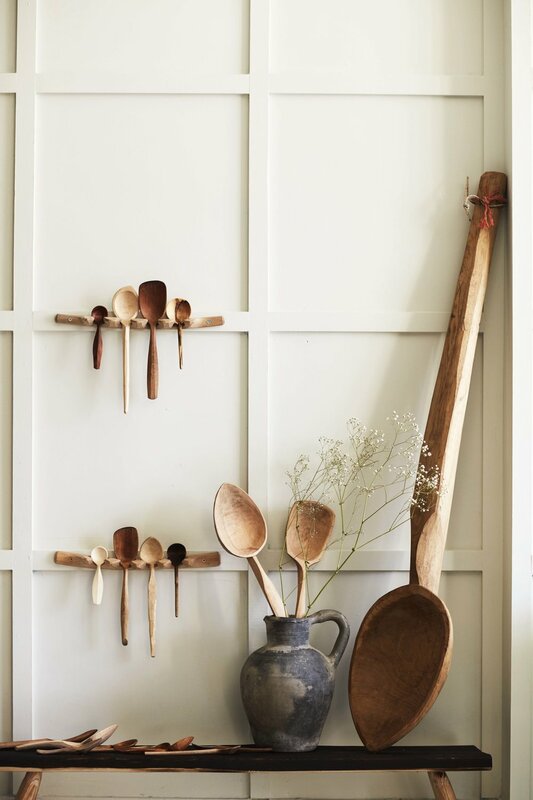 Each spoon is a joyous celebration of functional sculpture. 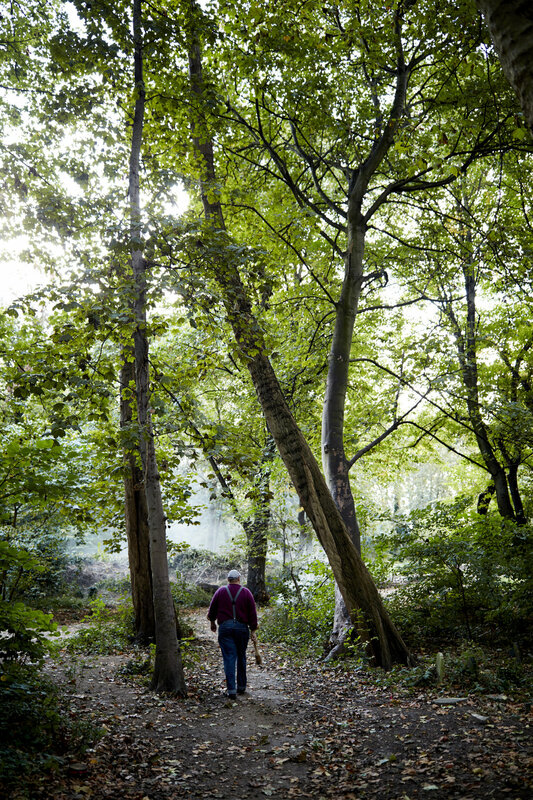 In recent years Barn has spent more time sharing his passion through teaching at The Green Wood Guild. We offer a diverse range of courses, workshops and taster sessions in all aspects of green woodwork. 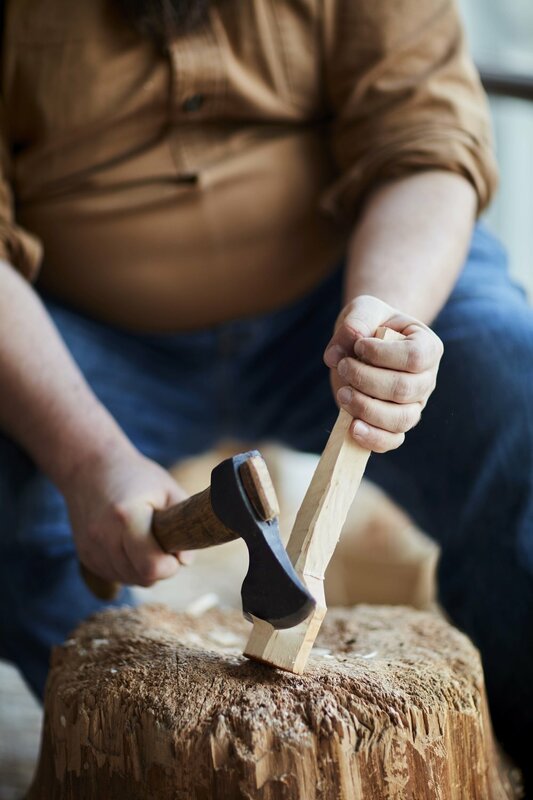 All based on time-honoured woodworking skills & techniques, working with traditional hand tools, and using wood straight from the tree, whilst it is still fresh. 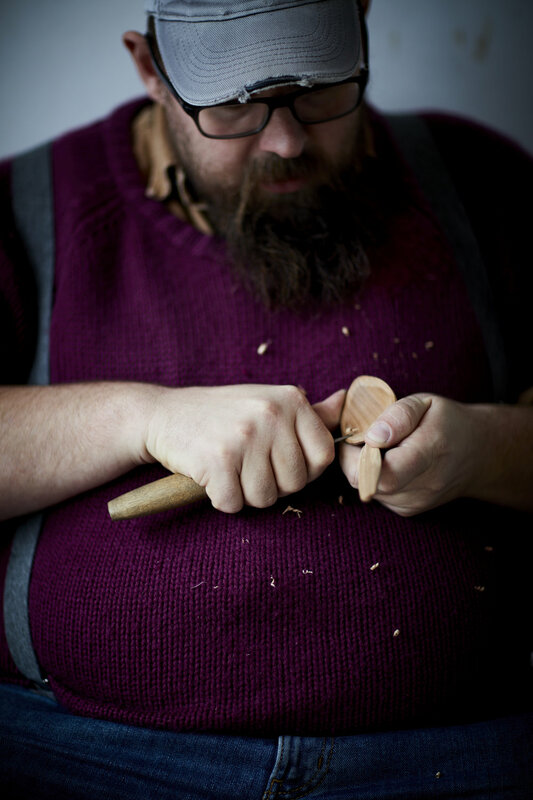 Our inclusive course structure is available for anyone to book and is based around a love for the craft and passion for teaching, covering everything from bowl carving to furniture making. Spoonfest is a really lovely annual event that I organise with some friends on a crazy beautiful site in Derbyshire, celebrating carving. A huge thank you to Penguin Books and our photographer Debi Treloar.